2. 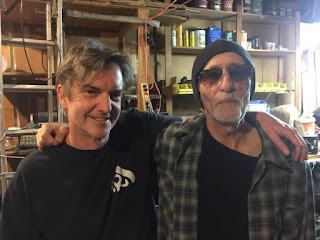 He has played with my brother Mike Schnee on and off for many years – The Leeks and Volkwood Ghost (who put out a pair of albums in the '90s) are just two of the bands they were both members of. 3. I collaborated with Doug on one track featured on BIG WOW. With all of that being said, my closeness to this project will certainly make people think I’m being biased when I say that Mod Hippie’s sophomore album, BIG WOW, is one of the best albums of 2017. So, let’s get one thing perfectly clear: from a musical standpoint, I’m much more critical of friends’ music than I am of music created by people I’ve never met. I pretty much figure that if they hang out with me, they can’t be as talented as “Timmy Tagalong” from Australia or wherever. Boy, was I wrong. Doug McGuire started out as a good songwriter 30+ years ago and has only gotten better over time. 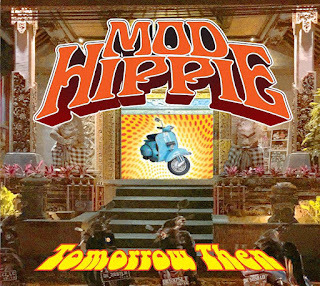 When the first Mod Hippie album – TOMORROW THEN – was released in 2015, I was more than impressed. Even the fact that he used a song with my worst lyrics ever did not sour my opinion of that album. When he began working on BIG WOW in 2016, I was anxiously awaiting the results. What I was not expecting was something far more cohesive, melodic and powerful. BIG WOW is like a time-travel album – it is very much of the here-and-now but it manages to incorporate bits of pieces of Alternative Rock’s history in ways that are inspiring. From Psych and Garage Rock through New Wave, Mod and Ska with some tinkly indie bits from the ‘90s, BIG WOW is just that – a big WOW! I suppose it doesn’t hurt that McGuire manages to pull inspiration from some of my favorite eras of music, yet never making it sound retro or dated. In fact, the album’s influences, production and focus make it timeless. McGuire’s songs work well with the great tracks he managed to pull from Mike Schnee’s immense back catalog. While the cover of Elvis Costello’s “Night Rally” is fantastic (and timely), the 11 originals on the album have a much deeper emotional impact. Not a stinker in the bunch. This is an album packed with more hooks than most bands can manage in a career. Adam Marsland’s production is inventive and the musicianship is top notch. Albums don't get much more fun than this. But enough about my thoughts. 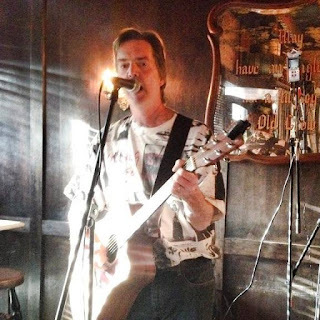 Now, I’d like to introduce you to Doug McGuire AKA Mod Hippie... in his own words! STEPHEN SPAZ SCHNEE: Please introduce yourselves! Adam Marsland from Adam Marsland’s Chaos Band and Cockeyed Ghost produced the record, played keyboards, guitar, percussion , arranged the trickier vocals and probably did a dozen other things I’m forgetting to list. David Marks from the “Surfin’ USA” - era Beach Boys played lead guitar on 6 of the 12 songs. 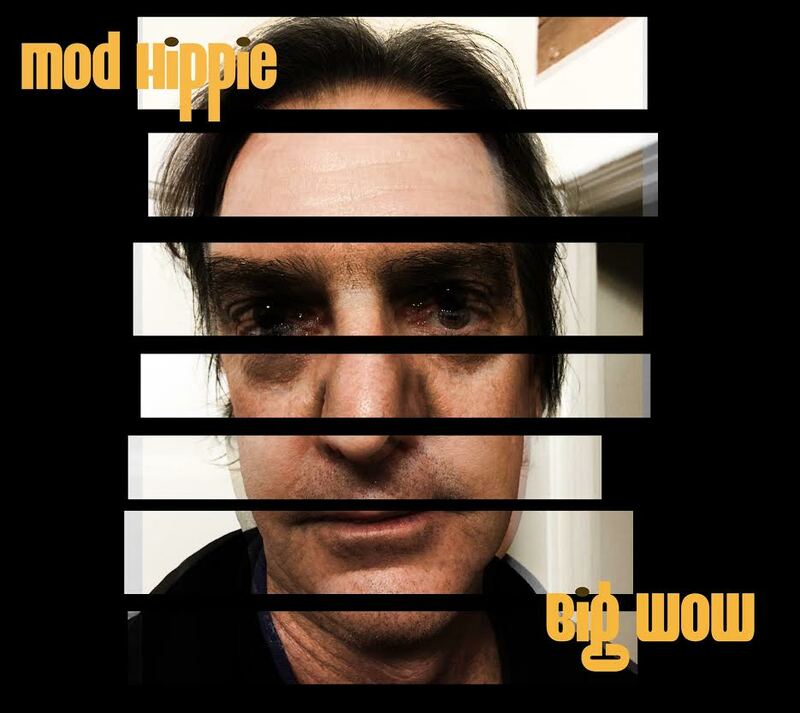 DOUG: BIG WOW is my second album under the Mod Hippie Moniker. We recorded at Adam Marsland’s Karma Frog studios. It took a year to finish. Adam calls it “Post punk garage pop.” There are 12 songs in all. 11 originals and a cover of Elvis Costello’s “Night Rally,” This is the best album that I’ve ever been involved with. I was very lucky to be able to play with such a gifted group of musicians who all seemed to intuitively grasp the retro psychedelic pop record I was trying to make. It was marvelous getting to meet David Marks and D.J. Bonebrake, two of the nicest and most talented people I’ve ever met. I had no idea that David Marks could play guitar like that – crazy and imaginative with melody just bursting out of his fingertips. 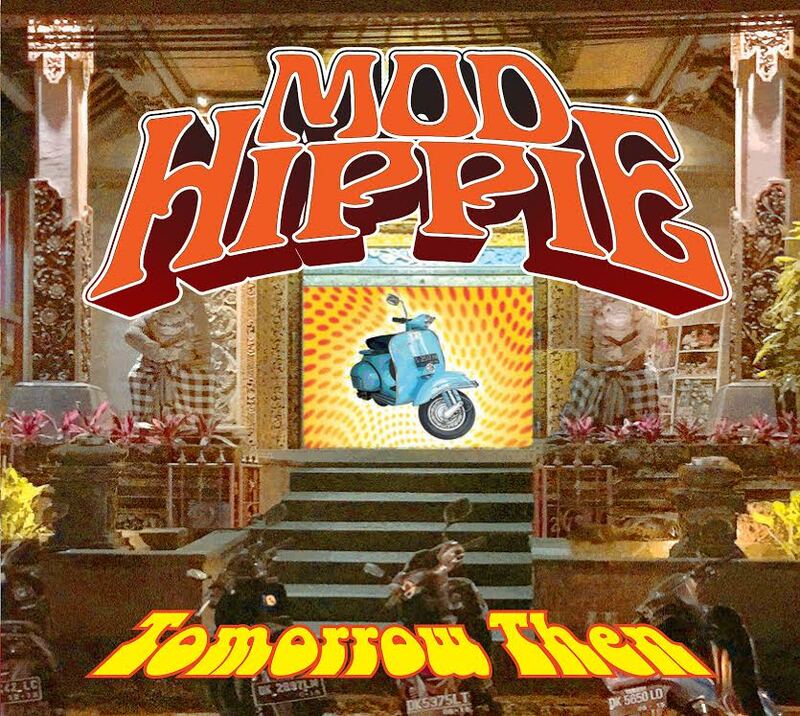 DOUG: Today, I would say that “Up and Away” defines the essence of what I started out to do with Mod Hippie which was to have a folksy/poppy acoustic guitar type song injected with a strong lead electric. “Up and Away” has both of these elements. Connor’s and Matt’s guitars growl around the edges of what is otherwise an acoustic pop song. I also like the way that the drums drop out at the beginning of the chorus. Also, it is a song about how memories are here and gone and I think the group did a marvelous job of capturing the joyful melancholy that I was trying to write. If you ask tomorrow, you’ll very likely get a different answer. DOUG: Definitely this is a group of songs that work together well. I have a number of songs waiting to be recorded. Mike (Schnee) has a large backlog of songs. I really love Mike’s songs and wanted to make sure I recorded a handful of them on this album. I tried to pick songs that I thought were strong and a bit different from each other, and then we tried to sequence and segue the group of songs into a cohesive album. DOUG: Lots of things about this album were surprising. Connor was supposed to handle all the lead guitar for the entire album. I really love his playing. Unfortunately, he lost interest after three songs and left to pursue other interests. That’s when Adam suggested that we have David Marks come in and lay down some lead guitar. That changed the whole sound of the album. He played his nylon stringed acoustic on “Gone All Day” and it came out wonderfully sad and beautiful. It’s a more rhythmic and pop album with David Marks than with Connor. Matt Zook also came in and played some fantastic lead guitar, especially on the title track. Without Connor all the way through, it is a very different album than I originally envisioned. DOUG: Oh, given the opportunity, I would tinker endlessly. I’m happy with the way the album sounds, really happy. But there are lots of things I would tweak a little. But then music needs to be heard, so you have to be finished sometime. DOUG: Kinks, Monkees, The Jam, Lenny Kaye’s Nuggets, the XTC Dukes of Stratosphear album . Adam is way into the Beach Boys and 70’s pop and I think that comes through as well. DOUG: A few years back, I went to see a friend play in downtown L.A. I walked out of the club and right into the middle of the Occupy L.A. eviction. It was pretty scary with the police really bearing down on the protestors. It made me think of Elvis Costello’s “Night Rally.” Then, with the ugliness of the election this year, I again thought about that song and decided to record it. Is that a non-musical influence? DOUG: Rob Martinez, Pacific Soul Limited, Jason Berk, Sylvia Juncosa’s WANNA GOTTA album. I recently put Chissum Worthington back into regular rotation on my car iPod. I just read the Replacements bio and the Pete Townshend bio so I’ve revisited The Who and The Replacements’ albums. My favorite show of 2016 was the Iggy Pop tour with Josh Homme, Dean Fertita and Matt Helders backing. I bought the Blu-Ray of their Royal Albert Hall Concert and I’ve been playing that over and over. I’ve been transfixed by the Bowie clips that Mike Garson has posted nearly every day since Bowie died. And I really love the final Oasis album DIG OUT YOUR SOUL from 2008. I love every song, the sound and I think there are a million hooks. I’m also the only one I know who loves that album.